Sell more with positive product reviews & testimonials displayed prominently on your Magento site. Choose to showcase only top-rated feedback and send customers review requests some time after they purchase your products. Sell more with positive product reviews displayed prominently on your Magento site. Choose to showcase only top-rated feedback and send customers review requests some time after they purchase your products. Product reviews are a major factor in customers decision-making. Product Reviews & Ratings extension for Magento helps you get more reviews and increase your sales. The extension consists of two major functionality parts: Magento Review Reminder stimulates your customers to write product reviews, and Magento Review Sidebar allows you to showcase top reviews on your site. Since the majority of customers trust online reviews as much as personal recommendations, authentic reviews of your products are one of the major factors of the sales success. With real, customer-generated feedback on your product pages, prospects will trust your company more and see it as a reliable supplier, this way making purchases at your store instead of a competitor’s. Want to drive more traffic to your store? The extension will be of a help as customer reviews are considered as quality content by search engines. Thus, by having testimonials on your website, you will score higher in search results, which, in turn, will drive more traffic to your store. Given the fact that trustworthy product reviews foster customer trust and bring more visits to online stores, publishing them on product pages is a proven way to turn prospects into real customers. The more positive quotes from existing buyers you have, the more visitors will decide to purchase the product. Why Use Magento Product Reviews & Ratings? 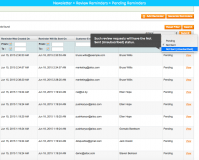 Get more product reviews by sending reminders to customers. 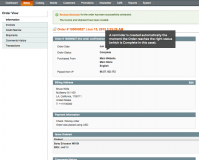 Show a custom Recent Reviews block on a Magento site. 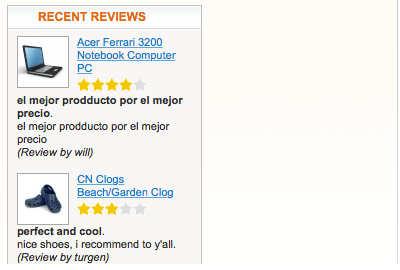 Boost reviews for the products you need to promote. Get more product reviews and display them nicely. 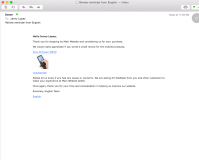 Send review reminders automatically or manually. 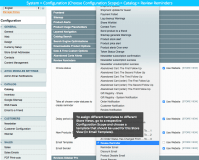 Configure reminder settings based on various criteria. Use different templates per Store View. Determine which Order status should trigger a reminder email. Set a delay period between the purchase and the review reminder. 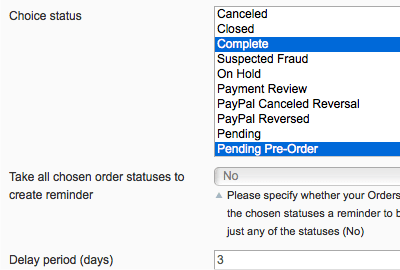 Select more than one Order status and/or a custom status. 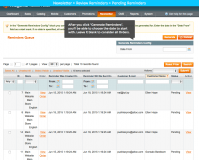 Create reminders for Orders placed before you installed the extension. Sort and filter reminders by Store View. 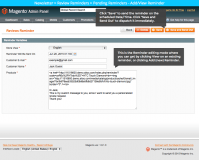 Edit or delete the HTML reminder template, if necessary. Send reminders to everybody or only those who opted in to Newsletter. 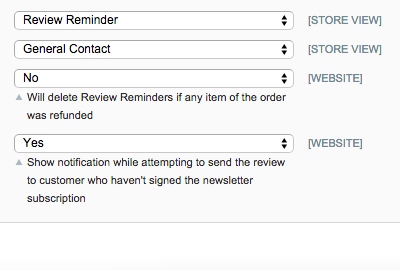 Allow customers to unsubscribe from review reminders. Track which customers used the link from the reminder and when. 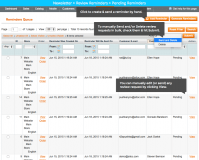 Send reminders only once for a particular product to the same customer. If a customer buys the same product again, they will get no review reminder. Place a Recent Reviews block on ANY static page. 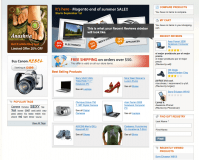 Set the maximum number of Magento reviews per product. Set the maximum number of words in a review. Only display reviews with a given rating or higher. Display reviews from a current category only. Display unique reviews (not shown before) during a browser session. Choose to display aggregate (summary) ratings. Easily switch Recent Reviews on or off. SEO: use optimized product URLs in your Magento reviews block. Easy customize the look-and-feel or your Recent Reviews block. The block shows reviews only for products sold in the current store. Magento 2 Product Reviews & Ratings is now available! 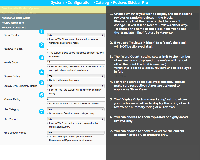 The Recent Reviews block is compatible with most custom themes. Magento Product Designer plugin – Upload a gallery of images and fonts to choose from, select any number of customizable areas, and change the prices of custom-designed goods. 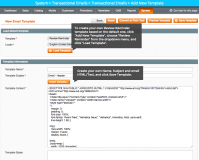 Magento Custom Product Options Templates extension – Set specific dependencies between options and values and assign multiple products to any existing template at one go. Magento Product Units and Quantities module – Set up custom measurements and allow visitors to select units and quantities via usability elements like dropdown lists, plus/minus buttons and others. Magento Configurable Product extension – Generate new simple associated products leveraging multiple product attributes and manage them in a separate table. Magento Product Color Swatches & Visual Attributes extension – Upload icons, images and colors and change text descriptions to the corresponding objects automatically. 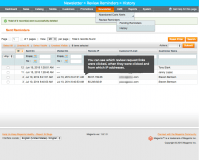 * Fixed compatibility issue with Magento SUPEE-6285 patch for sub-admin with restricted resources. + New feature - Products' thumbnails are added to the reminder e-mail. * Fixed the issue with progress not displaying for manual reminders generation. 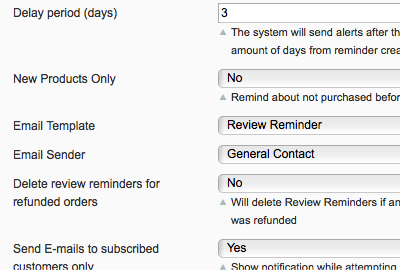 + New setting, which allows to delete reminders for Orders, which have been fully or partially refunded. 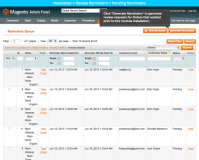 + Ability to assign different reminder templates for different store-views. + New setting, which allows to determine whether all or only subscribed to newsletter customers will be able to receive reminders. * Reminders generating functionality re-worked. * Fixed bug with error message when generating reminder for doubling Order IDs. 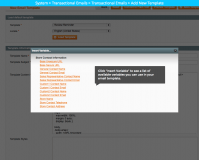 + Allows for selecting more than one status and/or a custom status (if supported by Magento). * Fixed bug with saving incorrect date for reminders, when Magento locale is changed and the date format is different from standard one. * Important security update (for 1.3 and 1.4 compatible versions) - the registered customers' account are no longer vulnerable to hackers. 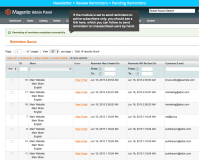 + Optimized product urls in reviews block. Great extension with lots of customisation options that makes our product pages so much better! We had a few problems with the extension but the support team soon replied with a working solution in no time. Amazing support from aitoc. These guys know what they are doing. I used their extensions in the past but they improved their stuff drastically. No more conflicts with other modules and clean code. Big respect guys. I loved everything about it as soon as i started using it. 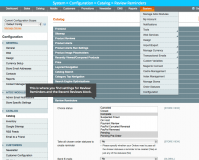 We purchased this extension first in 2010 and upgraded 2015 after we updated Magento. The extension takes out all the hassle you might have with product reviews - something every shop needs nowadays. The extension worked all the time flawlessly with a minor hick-up after the SUPEE 6788 security update from Magento. The developers have been very fast in their replies helping us successfully to resolve our issue. We can highly recommend Aitoc as a Magento business partner. Very friendly customer support. Thank you Victor for your help! The extension was installed incorrectly by my developer but aitoc support fixed everything within a day. the module shows excellent results as well. number of reviews on my site increased. Keep up the good work! We had a wrong setting in our magento store, but with the great support we fixed this! Works great! 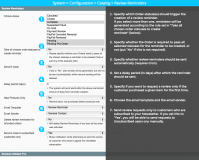 I've been using the Reviews Booster module from AITOC since 2010, and it's still going strong. It works well to solicit product reviews & customer feedback, which definitely boosts sales. Over the years I upgraded this module several times as I updated my Magento installation to the latest versions. I'm sure AITOC has improved the module over those years, yet I've never encountered any bugs even with the earliest versions. It's a solid, well-coded extension made by professionals, as you can see if you look at the source code. The only negative experience involved some kind of DRM encoding (e.g. ionCube, or something like that) the developers implemented for period a few years ago. This DRM system made it very difficult to develop & maintain my store on a development server, and I was pretty unhappy with these restrictions. I almost uninstalled the module in favour of a competitor's extension, but I contacted AITOC and they assured me they had removed the DRM system from recent releases. So I bought another upgrade and, sure enough, these restrictions had disappeared. I'm glad AITOC made the decision to get rid of the DRM system, as they really do develop quality modules for Magento which people like me are happy to pay for. Their support is fast & excellent. I have used many of the Aitoc extensions, and this one is great for conversions and getting reviews onto the site. Aitoc are a great bunch of developers, the support is excellent and they answer quickly. 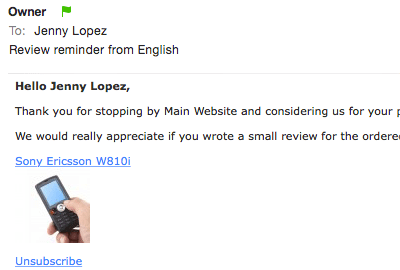 I bought this extension as I no longer wanted to pay a monthly subscription for my review software. It does the job and the support was fantastic. We use many of the Aitoc extension on our sites. Their support is fantastic as is the quality of their products. Highly recommend this extension it has provided us with invaluable feedback on our services and products. I purchased an hour support block with this product to get it installed and these guys have given me so much more than that. Installed my product, explained in detail of any questions I had. I recommend this extension and this over 1000 times over. Very pleased. This extension is a must have as well. When this was installed - in matter of 3 days I have had 6 reviews! Thank you so much for the support! Again, this is a very smart extension from Aitoc. We receive plenty of reviews since we have it installed. Thanks to the "unsubscribe" function we are always on the legal side here in Europe. I recommend this extension. Module works like described. We had problems getting the cronjob working (not the fault of this module), and without cron this module is much less useful. After installing AOE Scheduler the cron started working and since then this module has resulted in many more reviews. Using reviews booster we get many reviews by our customers, which helps boost our website in Google search results. At first we had problems getting the module to work, which was caused by the cron not working. This is fixed and now it works without problem. We have been using this module for a while already, initially we had some issue regarding cron jobs, however it was resolved eventually. Emails went out according to schedule, and we can see if customer respond to the emails which is an important feature as well. Not much problem faced when using this module. Excellent product. Without this extension we get close to zero reviews, when this is activated reviews pour in. Highly recommended for generating increased reviews, which increases sales - if you have quality merchandise and service. We use Reviews booster a lot. We recently had to upgrade to a new license and ran into some problems. AITOC helped us out with great service and support! This is a GREAT extension that does a very important job! We got positive results from it right away. It was very easy to install. It's everything that I expected an extension like this should be. Brilliant documentation, outstanding email support and the review box and reminders features are indispensable for any e-commerce store that wants to make money. I've bought an extension from AITOC before, and they are now my go to guys for when I need a Magento extension. Brilliant Extension! We installed it and then sent out 3 months' worth of review requests and have been astonished at how many brilliant reviews we've received in no time! I reckon this extension will pay for itself in a month or two if not less. Well done AITOC!